"Do You Remember Walter? 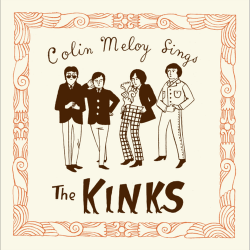 ", the fourth track on Colin Meloy’s tour-only covers EP, Colin Meloy Sings The Kinks, debuted yesterday on NPR’s All Songs Considered. To stream the song, CLICK HERE. For tickets to see Colin Meloy at the Woman’s Club on November 13, with special guest Eleanor Friedberger (solo), CLICK HERE.